How's it going for everyone? It's still super cold here, the past two days it has been about 13 degrees or so when I dropped my son off at school. Nice and toasty. On the plus side, the snow is melting so that's great! Today I have another special effect polish from Sally Hansen. I previously showed you a polish from the Patent Gloss line (I have another one you will see soon! ), I will have one from the Velvet Texture line to share as well! But those are for another day! 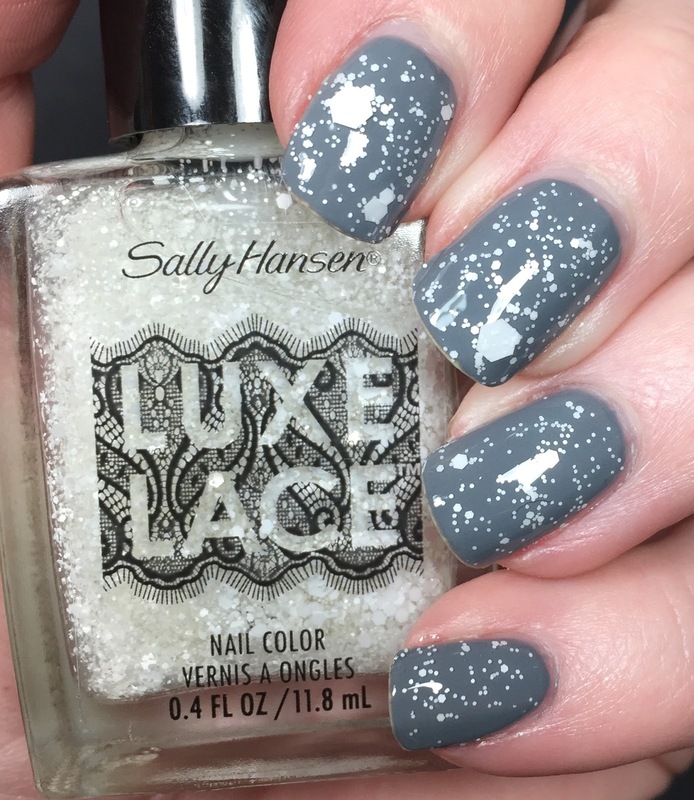 The Luxe Lace line is a collection of four glitter toppers, that when used are to give a lace inspired look to your nails. They are a mix of different sized glitters to use over any color you already have. They retail for $5.99 and you can find them at your local mass merchandiser. 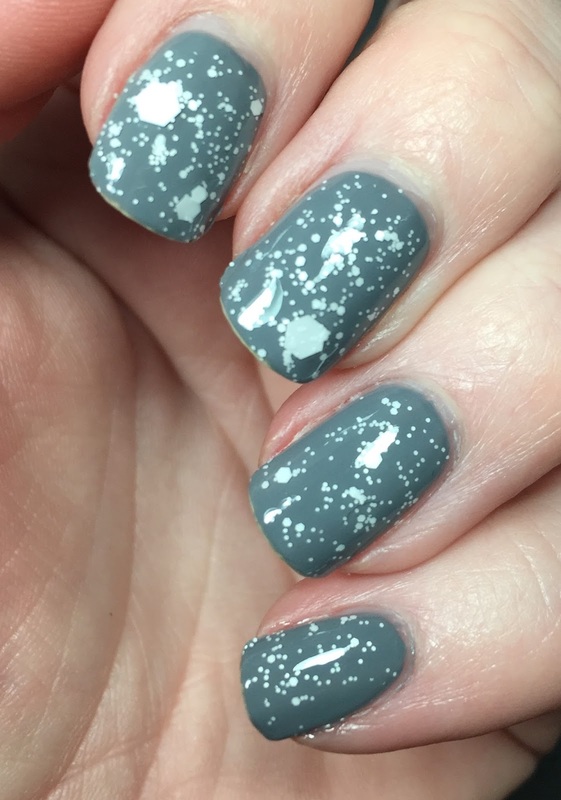 For today's mani I started out with a base of Embrace the Gray from OPI. 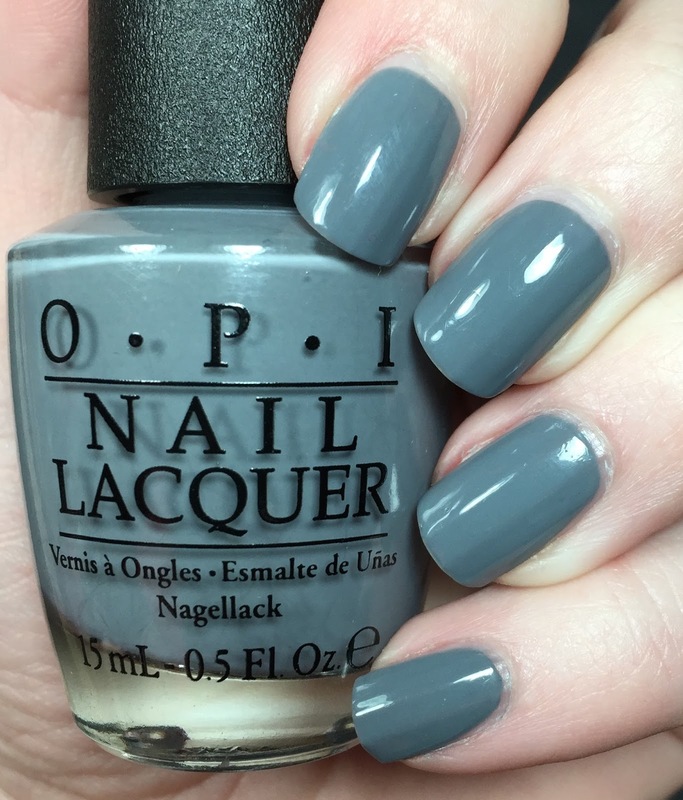 This polish is part of the Fifty Shades of Grey collection, which I purchased. I used two coats here, I surprisingly loved this deep color. The first coat was a bit on the thin side but the second one made it perfect. To that I added two coats of Eyelet, the all white Luxe Lace polish (which was sent for review). I actually had no issues with application. They nailed the formula on this one. I got plenty of glitter in each swipe! Topped everything with a coat of Glossy Glam and it was good to go! I loved the final look. It is so dainty and the contrast between the two polishes was perfect. 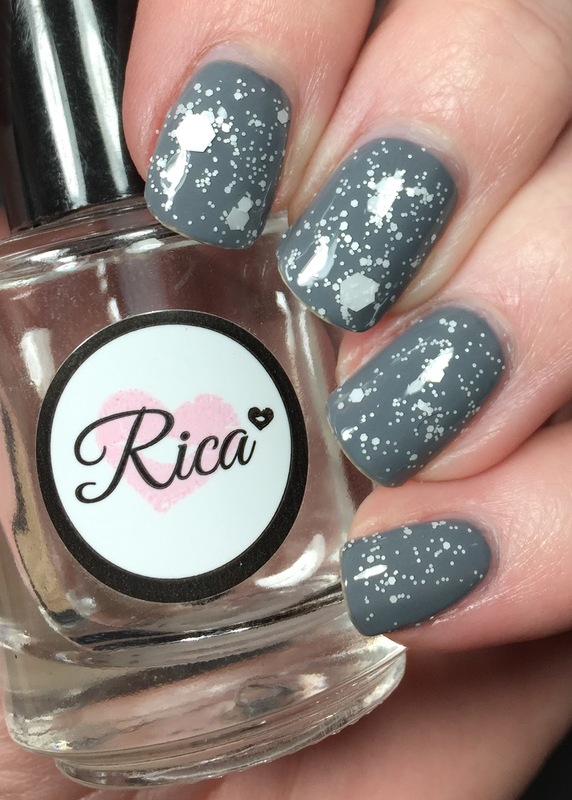 The white glitter is pretty! I love how you layered the glitter, it looks great!